Whether it’s tikka for two or a bhuna big enough to feed a battalion, every size curry can be a BIG CURRY, and a BIG opportunity to raise funds for the soldiers, veterans and their families who need our help. Host a feast for everyone you know and show off your culinary skills, then pay your donation in online or in a bank; there are so many simple ways to give, it’s never been easier. Here’s a short video that shows why taking part in The Big Curry is both easy and important. Every mouthful is meaningful when you are doing it for a such a good cause. Go really BIG and sell tickets for a Big Curry Lunch or keep it strictly friends and family and ask them to donate what they can. 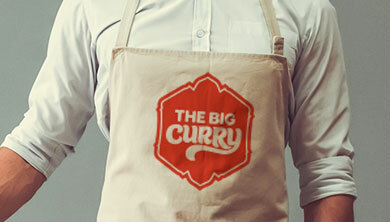 The choice is yours – your Big Curry can be little, big or really big! The money you raise helps soldiers, veterans and their families deal with life’s battles when they most need it. 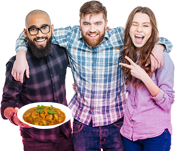 You can raise money any way you like – sell tickets, ask for donations or hold your very own curry just for two.